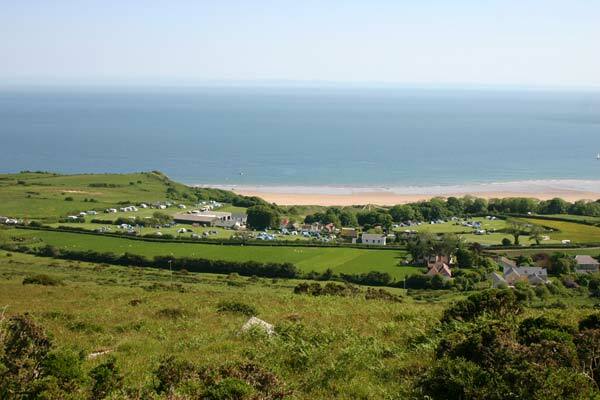 Crawley and Oxwich beach is just 10 minutes walk downhill from the campsite (add 10 minutes for walking back up!). 2 miles of golden sands, dunes, rocks and cliffs that are dog-friendly all year round. Crawley Wood is just a 1-minute walk out of the campsite into 60 acres of Ash woods with an extensive footpath network. Cefn Bryn is the hill backing the campsite and is just 5 minutes walk to the footpath at the bottom. At the top you will have spectacular views of Gower and beyond as far as the north Devon coast and even Lundy Island on a clear day. 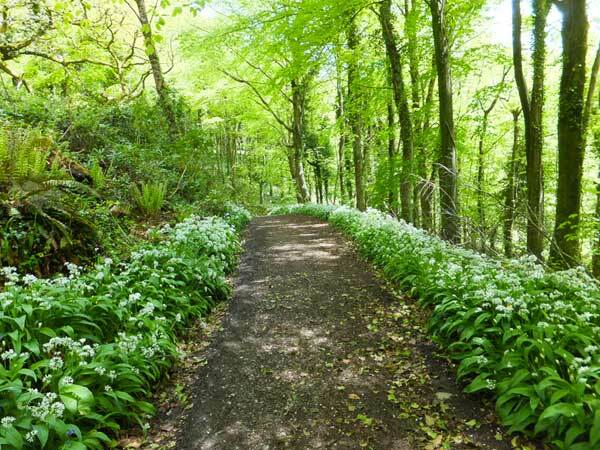 This also gives you access to Gower Way and 3000 acres of common land. Enough to exercise you (and your 4-legged friend?). Leave the campsite at either end and you're on the Gower Coastal Path. To the east, you will be on the cliffs above Little Tor in no more than 5 minutes, and Big Tor a couple of minutes further on. Just a short stroll from there and you're looking down on Three Cliffs Bay with its spectacular shoreline of sand dunes, salt marsh and of course the signature three limestone cliffs. A particularly photogenic part of the Gower Coast Path. Walk to the west and you're on the way to Oxwich and beyond to Port Eynon Bay and the magnificent Worms Head and Rhossili Bay. 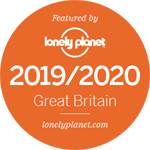 This is the first beach to be awarded Britain's Best Beach by TripAdvisors' Travellers' Choice for the second year running, not to mention the 3rd best beach in Europe and 9th in the world! Our less able (or just less energetic) guests need only drive for 4 minutes or so to the car park at Oxwich which has direct access onto the beach, as well as the Coalhouse restaurant and the Oxwich Bay Hotel. 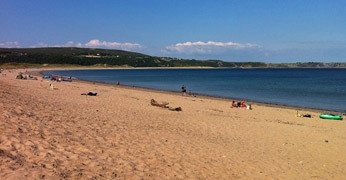 Gower has other beaches which have direct access on to a beach including Caswell and Langland bays. 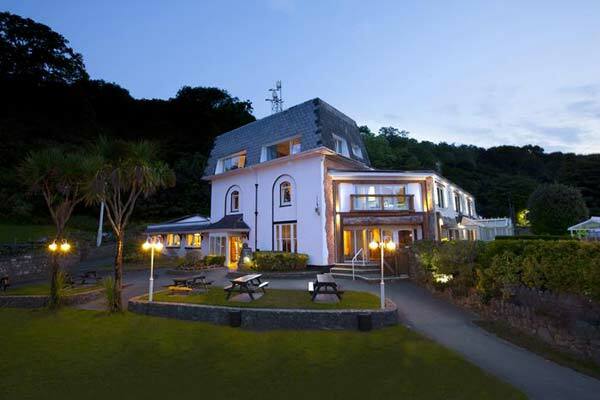 The Oxwich Bay Hotel is a 40-minute walk from the campsite across the beach, or a 4-minute drive. They are open and serve food all day, eat inside or out, an it's on the local bus route back to the campsite. 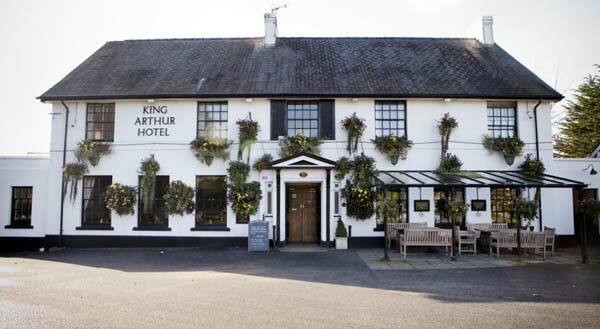 The King Arthur is a 1-hour walk from the campsite via Cefn Bryn where you can enjoy the spectacular 360degree views of all sides of the Gower. They serve food all day, eat inside or out, and again, it is on the local bus route back to the campsite if you time it right. Alternatively, take the car for the 4-minute drive. Mumbles is just 8 miles from the campsite and is sometimes known as the gateway to Gower. It is located on the western edge of Swansea Bay and has many cosy pubs and restaurants to suit any budget. There are fine walks and cycling around the Bay and who can resist Verdi's and Joe's award-winning ice cream parlours. 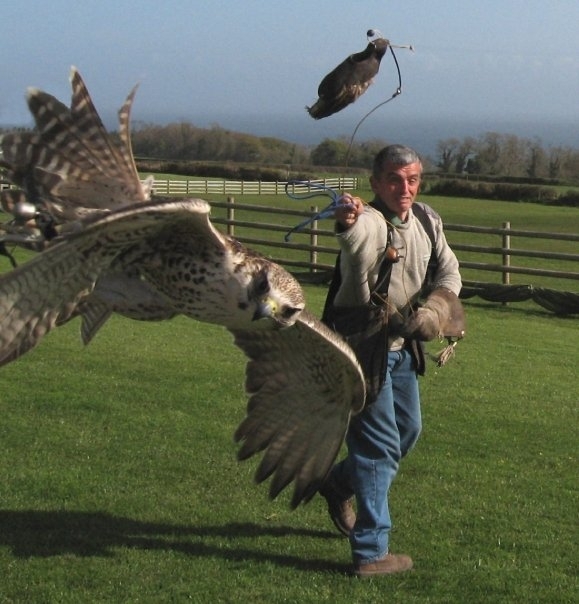 Just a mile down the road is Perriswood Archery & Falconry Centre. Open 7 days a week with archery, rifle range, the falconry centre, and other animals for the kids (and adults) to get up close and personal with. Gower Heritage Centre is just 2 minutes drive. It is a crafts and rural life museum with an historic 800 year old corn and saw mill powered by a large working water wheel. There are also craft workshops, a tea room, play areas, a woollen mill and animal park with a fish pond, ducks, chickens, sheep, goats and ponies. 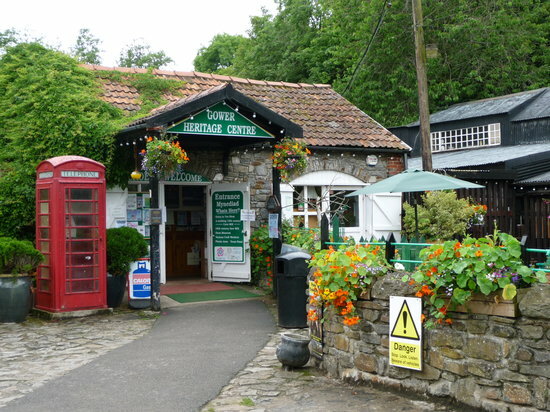 It is also home to La Charrette, Wales' smallest cinema. Of course, if you need your urban fix you can travel into Swansea by bus or a 20-minute drive in the car. 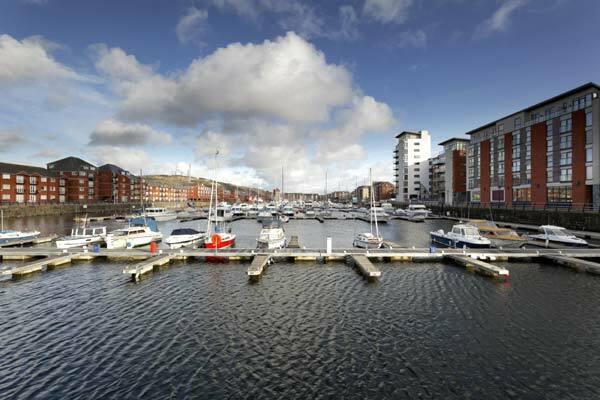 The city boasts the tallest building in Wales with its bar and restaurant at the top giving a panoramic view of the whole of Swansea Bay, as well as the LC2 leisure centre and water park, museums, restaurants, bars and shops. It is an easy stroll into the marina and waterfront area with the promenade walk that ultimately takes you to Mumbles.